Nobody could imagine that the son of a stonemason who learned the craft from his father in Cappadocia year 1500 would become the greatest architect of the Ottoman Empire and one of the most influential in history. By his genius is placed along with Michelangelo and his works, reaching a staggering 377, rise from Bosnia to Damascus; two of them are declared World Heritage. 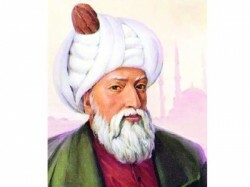 His influence continued after his death and his disciples built the Blue Mosque, the Mostar Bridge and Taj Mahal. The story of this great man began dramatically. He was born in 1490 and his family was Christian, probably Greek or Armenian, but the 21 years was forcibly recruited to be part of the Janissaries, the chosen troops of Sultan. They converted him to Islam and received military training. Some people are unaware that the best Janissaries came to become senior officials of the empire and that was the case of the brilliant young. In his military campaigns, Sinan had occasion to know the Balkans, Austria, Italy, Egypt and Persia among others. His passion for architecture was developed at that time and as a military engineer he directed his first constructions. At age 50 Suleiman the Magnificent appointed him as imperial architect and was the first of the three sultans who served as Mimar lived until 90 years ago. During that time he was responsible for the architecture and urban planning throughout the empire and to this he devoted his Renaissance genius. 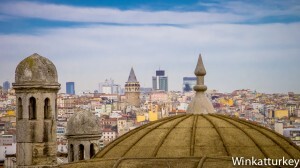 The City of Istanbul we know today is the result of his plan to convert the former Constantinople in a city that reflected the Ottoman power and presence of Islam. He placed his buildings in the most visible places in the city and transformed it forever. Turks felt a great admiration for the great dome of Hagia Sophia and Sinan was the architect who got that little obsession and turned it into the hallmark of Ottoman art. His buildings go far beyond to imitate the superb Byzantine basilica and develop the idea of ​​the dome to create huge full of light interior spaces. 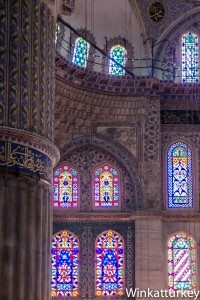 In addition, was the first to pay attention to all the details of the work, including decoration, windows, paintings, tiling, etc.. Sinan was aware that worked in an area of ​​high seismic activity and protected his buildings against earthquakes by improving the foundations and materials he used. 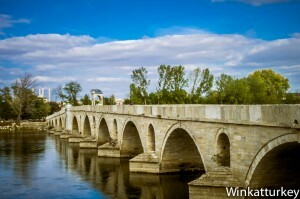 In addition to his famous mosques, Sinan constructed magnificent bridges, among which we must highlight the bridge Mehmed Paša Sokolović in Visegrad, Bosnia, declared a World Heritage Site by UNESCO. His systems to bring water to Istanbul still work today, as well as many bridges and sewer systems. His work is completed by numerous hospitals, baths, tombs, palaces, schools and caravanserai or roadside inns. The intent of this post can not be to describe his work, about which many books have been written, but only highlight his figure and recommend a visit to some of his most representative buildings. His first masterpiece is Shezade Mosque and is is located very close to another of his best-known works, pride Suleymaniye Mosque. 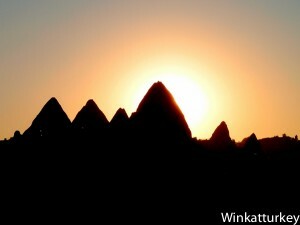 They both follow the design of a large dome resting on four arches as in Hagia Sophia. However, his most important work, declared World Heritage, is the Selimiye Mosque in Edirne and there eight arches are used to lift the huge dome. Not to be missed Rustem Pasha, where he took his most brilliant art of Iznik tiles. 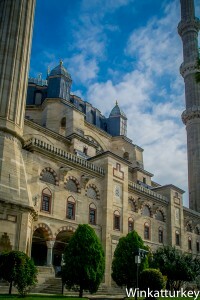 There are many more buildings worth visiting, such as the Barbarossa Tomb or Mihrimah Sultan Mosque but it depends on the time we have and our preferences. 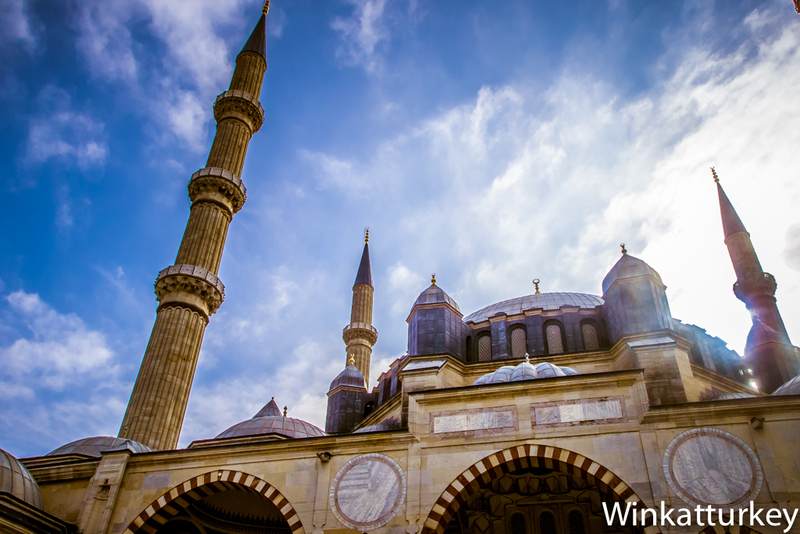 Mimar Sinan died at 90 and is buried in the small tomb that he built behind the Suleymaniye Mosque. The Master lived many years in that street where he also had his school of architecture and there we can visit the resting place of the man who changed the image of an empire.